Almost everybody had a favorite super-hero when we were kids. Some of them have kept close to their image and principles, even in their adult life. However, not everybody knows that each super-hero is vulnerable. Why not, we are? Wonder Woman –> her weapons can work against her. Green Lantern –> It is ineffective against anything made of the color yellow. Martian Man Hunter –> he is vulnerable to fire. Aquaman, DC’s Sea King –> He can only breathe out of water for an hour. Now, that we know that super-heroes were and are vulnerable. What about us? What about our teams? Based on what we know about our super-heroes should we help team members to become vulnerable with their teammates/organization? In my opinion, the answer is “YES”. If we go back to our super-heroes, we should remember the “Hall of Justice” team. They became stronger knowing their vulnerabilities. I am sure that teams could gain an advantage by knowing their vulnerabilities. 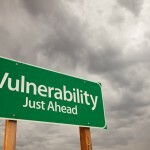 Helping teams to become vulnerable is not an easy job. However, as a coach, we can guide them. A good start would be to show them that we, as coaches, are ourselves vulnerable. At the same time, we could show them that becoming vulnerable is harmless; and nobody will blame them for their vulnerabilities. In my experience, before starting with the team, we should start with the upper-management level; we should explain to the organization that “vulnerability” is not a bad thing. By doing so, it would allow you to create a secure environment to become vulnerable with your team(s). In fact, without a secure environment, it would be harder (sometimes impossible). With that being said, one of the pillars of becoming vulnerable as a team is to make the organization business-like about vulnerability. How to do it? Well that is the core of this article. Here there are 3 team exercises. Each of them could be tested with executive teams or scrum/agile teams. Purpose: To improve trust by giving team members an opportunity to demonstrate vulnerability in a low-risk way and to help team members understand one another at a fundamental level so that they can avoid making false attributions about behaviors and intentions. Instructions: Go around the table and have everyone answer three questions about themselves. Please describe a unique or interesting challenge or experience from your childhood. Purpose: To improve trust by giving team members an opportunity to demonstrate vulnerability in an objective, in-depth way, and to help team members understand one another’s strengths and weaknesses so that they can avoid making false attributions about behaviors and intentions. Time Required: Two to four hours, depending on the size of the team, the skills of the facilitator, and the team members’ level of knowledge of the profiling tool. Instructions: There are a few profiling tools, in the book, the author proposes the Myers-Briggs Type Indicator (MBTI), but you could use another where you are more comfortable. In my personal case, I found that test very complicated to do in agile teams; however, it could be a good test for executive teams. For agile teams, I started to use the PCM (Process Communication Model). Present the test and have all team members complete your test. Explain results of the test. Present the results to the team members. Interpret the results as a team. Identify potential team weaknesses that the group must avoid as a result of its particular inclinations. Let team members talk about their results, particularly the insights and description of their tendencies. Also, have them choose one or two areas that they would like to improve about themselves based on your profiling test type. Within one or two weeks of completing this exercise, have team members go back to the teams they are part of and discuss their profiles. This provides an opportunity for them to demonstrate vulnerability with their team members, and to give them a better understanding of their probable strengths and weaknesses. Source: So far, I haven’t read anything about this that is exactly like this one. I could say that I put something new into practice, but seriously, I prefer to avoid any discussion about it. In any case it is a combination of different exercises I have learned lately. If you know the source of an exercise like this one, please let me know about it. Also, if you like it and want to use it, I will be more than happy if you share the results or your experience with us. Purpose: Create the mind set to talk about failures inside the team. See failures as opportunities and learn from them as a team. Allow team members talk about failures and build a high level of trust without anyone taking full blame or shame. Please be sure that you use this one as the last one to do, and normally I would run this one a few weeks after the other two to reinforce the dynamic of the team. One team member starts with the history about the failure. He/she gives the information to the others and provides all of the detail he/she is able to. At the end of the time allotment, the next team member starts with a new situation/history. We repeat it until we don’t have more histories/situations. Debrief: Ask team members to share the experience, how they feel when others talk about their situation/history. Ask also about the lesson learned and opportunities identified. I hope you appreciate this article. Do you have experience leading these exercises? Do you have other exercises to build the trust and work in the vulnerability of team members? If so, please post it here!! !